Bring your car or truck to Mr. Tire Auto Service Centers in Denver, NC and save up to 50% over the dealer service department on maintenance services! We’ll pull up your manufacturer’s service schedule, inspect the necessary components for the current mileage, and perform any required maintenance tasks. Ask for a FREE print out. From oil changes, to brakes, to fluid changes, Mr. Tire Auto Service Centers' technicians will keep your vehicle running smoothly and under warranty. Mr Tire Auto Service Centers in Denver, NC performs the same maintenance work and repairs as your dealer service department, but at a cost up to 50% less. Start saving today by bringing your vehicle to Mr Tire Auto Service Centers for all of your auto service and repair needs! We provide a free written estimate and perform only the work you authorize, guaranteed in writing. All parts and services are covered by a minimum three-month/4,000-mile warranty. Many parts including brake pads and shoes are backed by a lifetime warranty. Mr. Tire in Denver, NC provides scheduled maintenance on your vehicle for routine and preventative vehicle care. When you come in, we’ll pull up your car’s maintenance check list for your specific model and inspect the necessary components for your vehicles current mileage. Factory scheduled maintenance provides a good opportunity to make sure your car is performing correctly and help prevent costly future repairs. Plus Mr. Tire will save you up to 50% over the dealer! 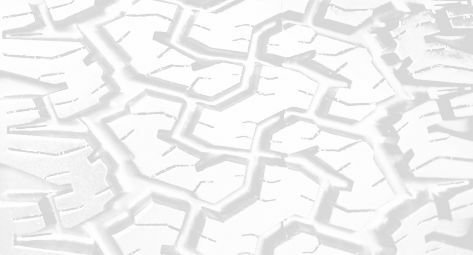 Mr Tire Auto Service Centers are your source in Denver, NC for the best deals on new tires, and complete automotive care for your car, truck or SUV. Plus, if you find a better deal, we will beat the competitors total price by 5%! While our name means tires, we offer a full range of automotive services such as oil changes, brake service and wheel alignments, to help you maintain your vehicle and protect your warranty. Mr Tire and Clark Tire have kept my Truck running great for 14 years. Been with them (Clark tire) 13 years never a problem. We value Tim and his employees. I've always felt comfortable discussing any problems or concerns with my vehicles and have always received excellent service. I plan to continue to seek their advise on car repair services! We trust the team at Mr. Tire Auto Service to ensure that both of our vehicles are running at optimum levels, very knowledgeable team. Friendly service and always do the best job. Great pricing and quick turn over. Outstanding service, as usual. Thanks. Denver, NC location provided service as requested. Made recommendations on needed service. The staff was very friendly and service was quick. I will definitely be returning. The staff is very personable and very efficient. The job is always done on time and done right ? Tim and Lynne always make my experience wonderful! amazing service, excellent attention to detail, will definitely be back. Excellent service and professional staff. Always accommodating and good service. Reasonable rates on all service. We have used this facility for years and have always been very satisfied with their work and professionalism. Great people to deal with! Always personal service, sound advice regarding potential repairs. Dont tell me I'm required to answer your addition feedback, thats just rude. The techs fixed a seat issue for me, much appreciated. All the employees are great, honest, and friendly. They are professional all the way!!!!!! The front desk guy was easy on the eyes... BONUS! Team is always pleasant to work with and I relied on their top-notch service. Thank you for helping me get new tires in such a short period of time! Had a dead battery. I was contacted with the assessment promptly and repairs made quickly. Professional service, with friendly staff! Great service every time I go! We had a flat tire on I-40 late in the evening. The Morganton NC store was the only one open. They took me in and immediately provided me with the service I needed at a reasonable price. Tim, Michael and all the staff are very helpful, knowledgeable and courteous. Only place I trust my vehicles!!! Tim McGee and his team do a great job ... this is the only place I trust to take good care of my cars. Team is informative, courtesy as no prompt. The staff in Denver,NC is top notch. Love your team at the Denver store! I have an older car (2006) and I credit them with keeping it in good working order. They are all top flight professionals. I bought my tires at the Denver facility and keep coming back for service.driving by many other places offering similar services. The Mr Tire team in Roxboro is always the best and no matter how crazy I describe a problem with my vehicles they always target the issue and fix it right away! Great service, price and attention at Mr Tire. Great job and at no charge! Nice surprise. Michael and Tim are great and always have been. True assets to the company. Lynn Passmore is a great asset and very friendly & professional. Great service with no sales pressure! Always a good experience! Everyone is friendly, courteous and professional. Scheduling is easy; transportation provided if vehicle needs to be left at Mr. Tire. Lynn, Tim and Michael are always great. After over eight years and a family of vehicles, we plan on staying here for ongoing service. Always a pleasure doing business here. Courteous, polite, knowledgeable........service was great! The employees at this Mr Tire are so helpful and will do anything to help. I feel the prices are fair and the work is superior. Store will not thrive without Tim and Lynn. They are backbone of operation. Friendly/professional staff, and great quality of work! I will be happy to continue taking my car to Mr. Tire. Michael and the entire staff at Mr. Tire are always happy to assist me in all of my automotive needs from oil changes or tires, to major repairs. They always take care of my needs in a timely and affordable manner. I highly recommend them for automotive maintenance and repairs. Michael Bowden and the crew do an awesome job with keeping all my personal and work vehicles serviced and taken care of. We would highly recommend them for vehicle needs. 100% happy. I always take my vehicle to Clark Tire. Been a customer since 1993. Awesome employees and always dependable service done right the first time. Glad they are in Denver.